Dr. Jeanne Sandheinrich, D.C. was born and raised in South County, right here in St. Louis! She attended St. Martin of Tours Catholic grade school and Notre Dame High School. She has always been fascinated by the human body, even at a very young age. She knew wanted to be in the healthcare field and serve others, but wasn’t certain in what capacity as a child. As she got older older, Dr. Jeanne became more intune with what areas of medicine intrigued her. All through undergrad, at Webster University, she wanted to be an orthopedic surgeon. After taking the MCAT, she started to feel medical school was not the right path for her. This was slightly torturous for her because she felt in her heart she was born to help people, but she was still uncertain how. After looking into numerous medical field options, Dr. Ryan finally asked her to look into chiropractic care for children and pregnant women. She has always had a passion of working with children. She devoted four years to teaching swim lessons, and babysat all the way up until she had her own child! Dr. Jeanne’s only exposure to chiropractic care was in high school for back pain. The pain originated from playing sports. So when Dr. Ryan had urged her to look into chiropractic care for children and pregnant women, she had to do a little research. When she started to look into the International Chiropractic Pediatric Association (ICPA), it became clear that she was supposed to be heading this direction. Everything she found about pediatric chiropractic, and prenatal chiropractic, reignited her excitement to help others. Dr. Jeanne knew that God was giving her clear signs and this was the time to follow his lead. Dr. Jeanne ended up venturing off to Logan University, where Dr. Ryan was finishing up his schooling. Throughout her whole career at Logan, she connected with the instructors that could give her the most knowledge about treating children and pregnant women. Since there is not much instruction for this type of work in the formal curriculum at Logan, Dr. Jeanne took a multitude of outside seminars on most weekends. Dr. Jeanne had a yearning desire to be the most competent prenatal and pediatric chiropractor as possible! She did this while simultaneously finishing her doctorate. She has received specific training for the prenatal and pediatric population. While finishing up the clinic portion of school, she treated a large number of children. Many of these children she still treats today in her own practice! All of this experience gave Dr. Jeanne the confidence to open her practice right after graduation. 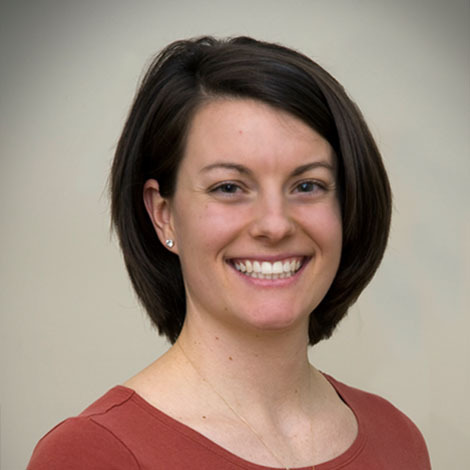 Dr. Jeanne focuses in the treatment of women, particularly prenatal chiropractic, as well as pediatric chiropractic. She finds so much joy in caring for this part of the population. She uses a combination of chiropractic, acupuncture, and nutrition to help the body heal itself. She has additional training in enzyme therapy, herbal therapy, and homeopathy too. She is board certified in Acupuncture, has a certification in Whole Foods Nutrition, Applied Kinesiology, and as an Internal Health Specialist. Dr. Jeanne has been studying the use of essential oils since March 2014, and they have been integrated into her practice of healing. As of 2014, she has also had training to help people with lyme disease using a specific protocol designed by Dr. Zev Myerowitz. The protocol uses various homeopathics, herbs, and nutritional supplements; that are specific to each person that shows to be suffering from lyme disease at the clinic. Moms: Doing First Hand Research! Dr. Jeanne also loves to connect with other moms in the community! This helps her to gear her continuous studies on what her families are truly needing to improve their health. She is dedicated to being one of the most highly trained doctors her patients could possibly seek help from. Dr. Jeanne is continuously studying up on various topics including: nutrition, MTHFR (a gene that tells the body to generate an enzyme to convert B9 into a usable form), gut health, infant development, lyme disease, herbs, homeopathy, Chinese medicine, and various other topics. Dr. Jeanne understands in order to provide top level care as a chiropractor, this is something she is needs to do. The amazing part for her is that she is in awe of the human body, and loves continuing to educate herself, and in turn help her patients flourish!